Booksellers Tokens are accepted in member bookshops across the country, from small independents to large chains. Our Tokens encourage foot traffic, and deliver a profitable business to booksellers. Booksellers Tokens make gift-giving to book-lovers easier. Order Booksellers NZ Tokens online, or use a form. How Book Tokens work in a financial sense for your store and business. 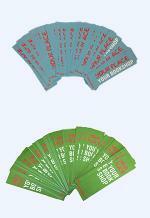 Alongside your Booksellers NZ tokens, you are now able to sell and redeem the Books Gift Card. This is sold and redeemed in member bookstores nationwide, including most independent bookshops and all Paper Plus and Take Note stores. The Booksellers Gift Card can also be purchased through a range of third party retailers including New World, Pak N Save, Warehouse Stationery, BP Service Stations and Z Service Stations or you can purchase the gift card online through Gift Station. They can only be redeemed at member bookstores. Find out more, including how to sign up to redeem gift cards. Order more gift card covers. Westpac have discounted member rates for processing Visa or MasterCard transactions and are the association's preferred bank for member banking and merchant services. Westpac's EFTPOS Solutions services and Paymark EFTPOS service fees are bundled for single account billing and statement. Members are offered a range of personal and business banking benefits, giving you savings on almost every aspect of your personal and business banking needs. The Booksellers Exchange Card system is a sales aid to booksellers for those customers who want to buy a book as a gift but who are unsure whether the book is appropriate or whether the recipient may already have read it. Find out more about the Exchange Card system here. 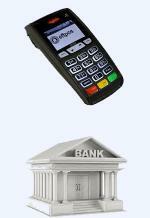 Buy Exchange Cards for your shop here. A popular range of reusable bags and brown and white kraft bags are available at very competitive prices through Booksellers NZ, featuring the 'Read' promotional logo. The brown or white paper bags can be overprinted with your store details. Love Books Shop Local bags are a new introduction, replacing the 'Eat Sleep Read' bags. You can order these online or download the order form now. The new bags are 30% recycled paper. Order your personalised brown paper bags using this form, and email your order direct to tokens@booksellers.co.nz. Please note there is a 6-8 week turnaround for the small paper bags. Booksellers NZ operates a group insurance scheme through the world's largest insurance brokerage company, Crombie Lockwood Insurance Brokers. Premiums from Crombie Lockwood are very competitive and in most cases are significantly lower than individual booksellers could negotiate on their own behalf. Find out more and learn what is covered, and who to call. Members can enjoy many benefits as part of Booksellers NZ cross-membership agreement with Retail NZ at a reduced rate. 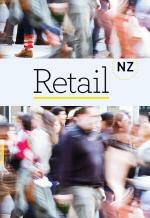 Retail NZ can assist with advice on employment and consumer issues, help when resolving employment disputes, advice on staff theft and shoplifting, and access to retail-focused advocacy services. Find out more about this offer. CourierPost is New Zealand's premier courier provider, with a great reputation - and as Booksellers NZ members, you can save money while ensuring your parcel gets to the right destination at the right time! Find out our great membership rates, and how to sign up. 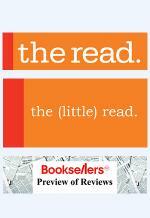 The Read and the (little) read are Booksellers NZ alternate newsletters. The Read features a feature article about a pertinent issue in the bookselling world, as well as top book news, trade news and highlights from The Reader blog from the past week. the (little) read includes book and trade news, highlights from The Reader, and external links of interest to the New Zealand bookselling community - both NZ and international. Preview of Reviews captures all the review action in the media in the coming weekend, and alerts you to the hot books of the moment, whether you are a reader or a bookseller. With information from a whole range of media, including NZ Listener, Radio NZ, NZ Herald, Dominion Post, Otago Daily Times, The Spinoff Review of Books, Pantograph Punch, The Sapling, and NZ Books review quarterly, this is what you need to set up your weekend reading and selling books. There is advertising space available in The Read and the (little) read, please contact Sarah Forster, sarah.forster@booksellers.co.nz if you would like to discuss advertising through Booksellers NZ. Please refer here for information about New Releases. If you are a Member, either as a bookshop, or a publisher, discounts / complete rebates apply. As members of Booksellers NZ, you get exclusive access to the Summer Reading Guide, a catalogue showcasing the best Christmas and Summer titles available from New Zealand's publishers. After publishers submit titles, a longlist is compiled via votes from all booksellers involved, then the final list is narrowed down by a group of expert independent bookshop buyers. Each catalogue is personalised to your independent bookshop, and it is up to you how to use it in promotions. Many do a letterbox drop, place it in the local newspaper, or simply place it in bags as customers purchase books. We provide this service to support our members to maximise sales at this incredibly important time of year. Members can enjoy the benefits of media planning and booking advertisements with a fully accredited and locally owned advertising agency, Media R.
Their accreditation and the combined booksellers spend means that Media R can give you better rates than what you will get individually. As an accredited advertising agency Media R are paid by the media to represent them. This means that media services are free to clients and not biased in the recommendations on which media to use. It is Media R's job to recommend to you media that will achieve results, irrespective of what media is deployed. Media R spends in excess of $100,000 every year in research to keep on track. For your advertising planning and bookings for radio, newspaper, television and online media, you can contact Kate Mitchell-Parker at Media R kate.mitchell-parker@mediar.co.nz. Meridian is working every day on the goal of protecting tomorrow which is why we support the Zero Carbon Act, sponsor of KidsCan and the Kākāpō Recovery Programme, and are committed to encouraging the uptake of innovative technologies like electric vehicles. Committed to the environment and sustainability just like us? We get that you’re busy and the last thing you may want to think about is changing power companies but we’ll find out if you could be better off. We may be able to save you money and make switching worthwhile. Also, when you join, you’ll get up to $600 credit per store location*. 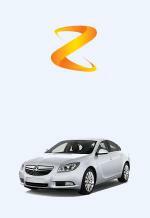 You’ll also get a 12% prompt payment discount just for paying in full and on time. To help you manage cash flow, you can even pick your own payment date. Plus you can access Meridian online tools to get a better handle on your power usage and what it’s costing you. If you wish to enquire about the Booksellers NZ rates, please email or phone Nick Redmond on the following details. OfficeMax has everything you need, and a little bit more. Office Max are proud to offer the Association of New Zealand Booksellers a core range of products at privileged prices. Booksellers NZ has partnered with global company Kobo to bring its eReading platform to Independent and Paper Plus bookstores around New Zealand. 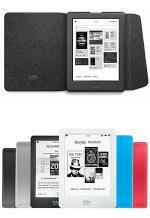 All BSNZ member bookstores can participate in the Kobo program, and offer their customers eReaders and eBooks from Kobo’s catalog of more than four million titles. BSNZ members share in the revenue on every sale. Save money on petrol with a Z Energy Fuel Card, accepted at any of Z Energy locations nationwide. This benefit is as a result of our relationship with Retail NZ.